Heat Experience is a sanctuary specially designed to make you feel relaxed, to regain your equilibrium and soothe your mind. The facilities you can find in the wet zone make available an entire range of experiences which helps muscles to balance the tension, removes stress, improves circulation and the immune system: wet and dry sauna, emotional or cervical shower, Jacuzzi. In the pool with heated to 29 degrees Celsius water you can take swimming lessons, participate in aqua gym sessions or just enjoy the regenerative power of water. The game of lights, comfortable lounge chairs and relaxing music completes the inviting decor. *Husband's / wife's Membership benefits of 15% discount. **Persons younger than 17 years old benefit of 25% discount, but they don't have access to fitness. Access for: indoor swimming pool, saunas, jacuzzi, emotional shower, cervical shower, aquagym, swimming lessons with instructor, fitness, spinning, according to schedule. 320 lei package 5 valid entries for 30 days. Children aged 0-6 years old, including adults, benefit of FREE access. * Included accessories: towel, slippers. Gown rental fee: 15 Lei / person. Access from Monday until Friday, from 08.00 until 14.00 hours, to indoor swimming pool, sauna, Jacuzzi, emotional shower, cervical shower, swimming lessons with instructor, fitness. Subscribers benefit of 40% discount for massages and corporal therapies. The price represents 60% of the All Inclusive Membership. Access for aqua gym sessions, according to schedule. Please note that during 02.07-15.07.2018, IAKI Spa Center will be closed for mandatory annual maintenance and sanitation! The wet sauna is heated to 45 Celsius degrees and has a very high humidity. After using it for 5 or 10 minutes you will feel that you can breathe better, being recommended for the beginning of a cold or an allergy because it stimulates the immune system and reduce inflammation. Dry sauna has a recommended temperature of 80 degrees Celsius and 100 and is highly beneficial to health, as it offers relaxation and well-being on short term and fight against stress and infections, improves circulation and provides a tonic action for the skin on a long-term. Wellness Spa immerses you in an intimate and fascinating atmosphere generated by the seductive flavors of oriental oils, diffused light, inspirational music and, not least, by the warmth and magic hands of the therapists. You will gain an unique experience with outstanding results. It is known that massage has become one of the most used methods of relaxation, a weapon against bodily imperfections, a course of action to relieve some affections or simply a refuge from daily stress. For complete and complex effects we invite you to start with a Vichy shower or body scrub with brown sugar particles and sweet almond oil or salt from the Dead Sea for a body exfoliation that leaves skin hydrated, supple, fine. You can continue with one of the various massages prepared and performed with warmth and dedication by the team of specialists with 100% natural oils from Cosmetics Sabio or Charme d'Orient . These massage oils are a delight for the senses and an opportunity to relax the body and mind and also have antioxidant properties, nutrients and emollients that help skin become soft and smooth, while maintaining firmness and muscle tone. If you want to train for improving or maintaining the health and muscle tone, the gym area offers the opportunity to access advanced cardio or strength equipment.You can ask our staff a fitness session with instructor or you can attend one session of spinning. Access for fitness, spinning, according to schedule. Subscribers benefit of the suspension validity of the membership contract for a month (one year) or 2 weeks (6 months), as well as one IAKI Spa access for one guest per month. Opened in 2002, Iaki Spa is the first spa at the Romanian seaside. After rearrangement and modernization in 2012, financed by European Union funds, IAKI Spa has become one of the landmarks of the Black Sea tourism. Having an area of 1600 square meters, IAKI Spa offers you an exclusive area for leisure and wellness. A warm and welcoming atmosphere greets you at the reception, then you're leaded to spacious and well organized locker rooms. The facilities that you find in the wet area offers a whole range of experiences that help the muscles to release tension, removes stress, improves circulation and immune system: swimming pool heated to 29 degrees C, wet and dry sauna, emotional or cervical shower, jacuzzi, Vichy shower or underwater shower. IAKI Gym is equipped with efficient and easy to use Technogym equipment and well trained instructors and physiotherapists. Senses Spa immerses you in an intimate and fascinating atmosphere generated by the seductive flavors of oriental oils, diffused light, inspirational music, not least, by the warmth and magic of the hands of the therapists. You will gain unique experience with outstanding results. Our therapists will spoil you, balance you and beautify you in this universe that harmoniously combines the skills of dedicated people with ingredients and active principles of internationally recognized ranges as Gerovital, Intraceuticals, YonKa, Iyashidome, Sabio, Charme d'Orient. Paraphrasing, at the Iaki Spa you escape from everyday reality and you become our star. Relaxation, a comforting feeling of holiday, a boost of energy or just a touch of pampering are guaranteed by the beneficent power of water and the magic of the locals. It's his or her birthday? Is Christmas or Women's Day coming up? 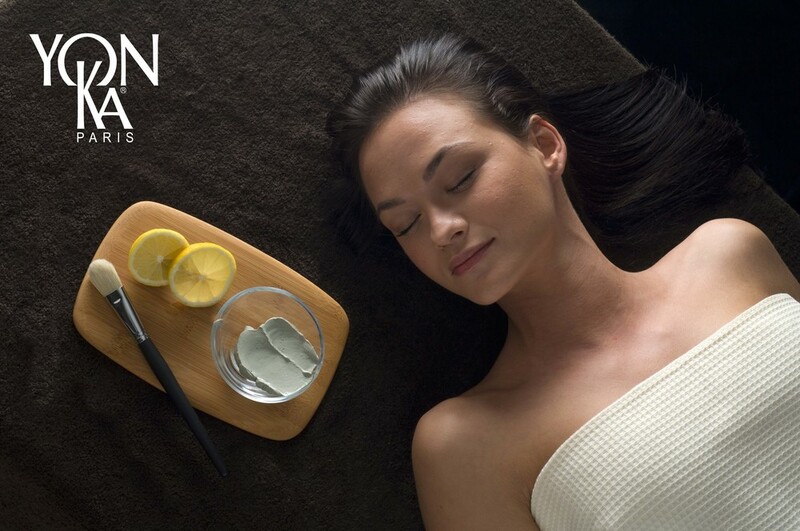 Use every occasion and offer your loved one the opportunity to become the IAKI Spa star, offer relaxation and well-being through the IAKI Spa card. Reward performance and professional success! It is known that non-financial rewards brings enthusiasm to your employees and reinforces a strong and long lasting relationship with the employer. Thus, not only because we care, along with your employer we reward your efforts and bring you to the place where you will get energy and inspiration, depending on your program and biorhythm. You can get a discount Spa voucher Spa which you can use to acquire out services with very advantageous prices or we can create a customized offer in collaboration with your employer for you and your colleagues. IAKI Spa can also host a social or team building event because we know how important it is to create a friendly and relaxed environment that fosters team development and homogenization.